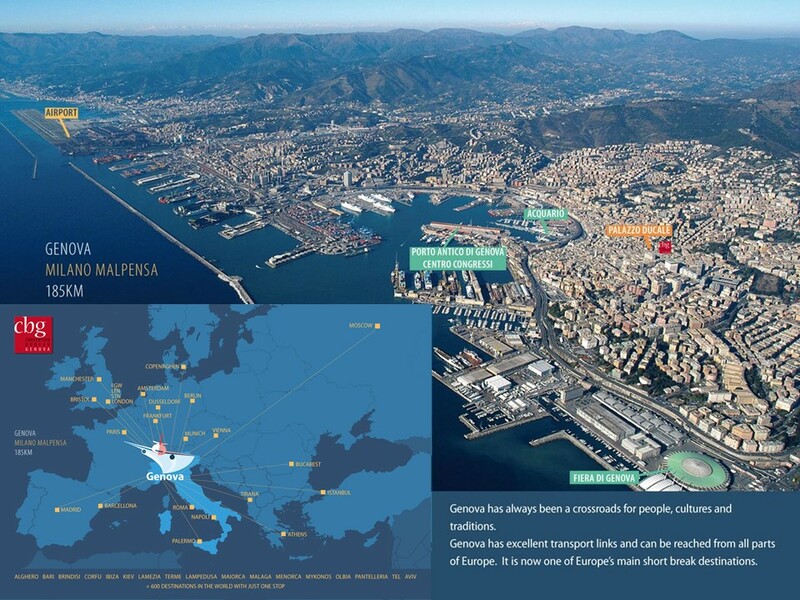 Genova airport is about 10 km from the Porto Antico and it takes about 20 minutes by taxi. As an alternative one can take the Volabus (the city bus from the airport, www.amt.genova.it) to downtown Piazza Principe Station. At Piazza Principe Station, take the metro to San Giorgio Station. Take the bus (www.terravision.eu) or train (http://www.malpensaexpress.it) from Malpensa or the bus from Linate airport (http://www.milano-aeroporti.it/linate-shuttle/en/index.html) to downtown Milano Centrale Train Station (from Malpensa 1h, from Linate there is only a bus: 25 min). 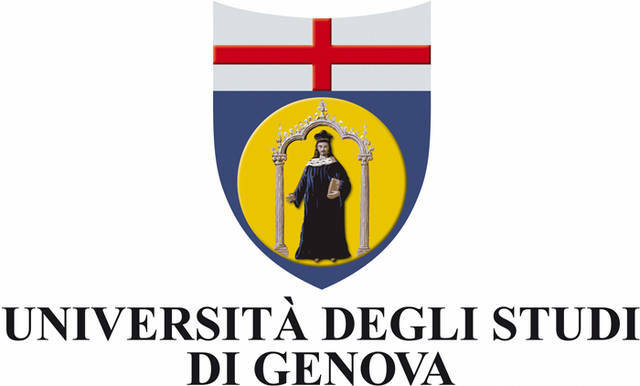 Trains leave hourly for Genova Piazza Principe or Genova Brignole train stations, the ride is approximately 1 h 45′. From Genova Piazza Principe station or Genova Brignole station, take the metro to San Giorgio station. 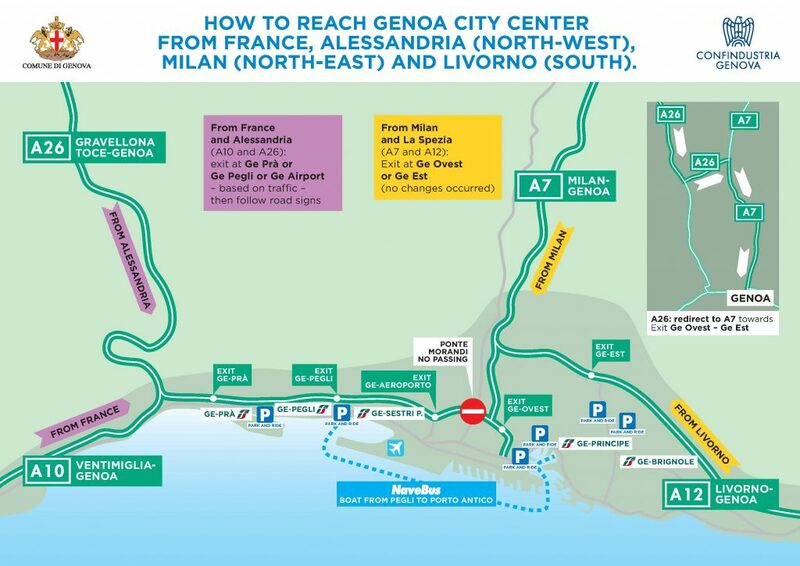 Note: the last train from Milano Centrale Station to Genova is at 9 p.m.
Take a connecting flight to Genova’s Cristoforo Colombo Airport (IATA-code GOA) or, to travel by train, take the Leonardo Express connecting train (http://www.trenitalia.com/tcom-en/Services/Fiumicino-Airport) to Roma Termini train station and then take the train to Genova (approximately 5 hours). It is also possible to go from Fiumicino airport to Roma Termini by bus (www.terravision.eu). Take a connecting train from the airport to Pisa Centrale (10 min) and then a train to Genova (approximately 3 hours). Note: the last train from Pisa Centrale is at 9.30 p.m.
Genova has two major train stations: Genova Piazza Principe and Genova Brignole. At Genova Piazza Principe Station or at Genova Brignole Station, take the metro to San Giorgio Station.